Buy 1 for $7.58Buy 2 / Save $0.40!Buy 3 / Save $1.52! 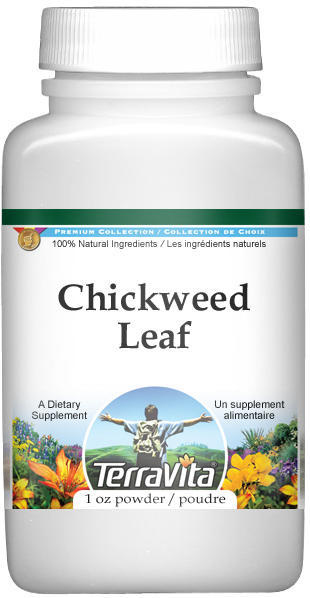 Chickweed, fresh or dried, can be used mainly to help support the itchiness caused by rashes, eczema, haemorrhoids, varicose veins, psoriasis, inflammation, nettle burns and other skin disorders. Internally it is traditionally used against joint pain. Fresh flowering plants are used in homoeopathy against inflammation of the joints and joint pain. Other Names: Starweed; mouron blanc (French); Vogelmiere (German); stellaria (Italian). 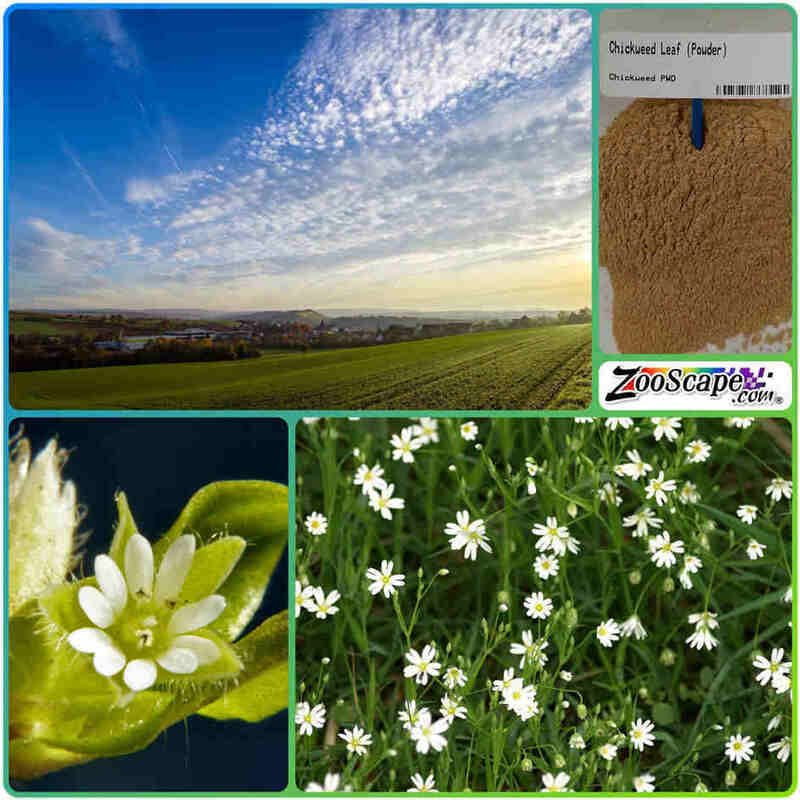 Description: Chickweed is a small, creeping, annual herb of up to 0.1 m in height but which can spread up to 0.4 m wide under favourable conditions. It has soft, fleshy stems bearing small, oblong leaves in opposite pairs, inconspicuous, white, star-shaped flowers and small, nodding fruits that are enclosed in persistent green calyx lobes. Origin: Europe, North Africa, north Asia. Chickweed thrives in moist places and has become a cosmopolitan weed. It is exceptionally common and can be found in almost any garden. Parts Used: Fresh or dried aboveground parts (Stellariae media hirba; = Herba alsines). Therapeutic Category: Treatment of skin disorders. Preparation and Dosage: The fresh juice, poultices, ointments or creams can be used to help support itchy skin. Decoctions of the fresh or dry herb can be taken orally to help support joint pain. The fresh herb is edible and may be cooked as a vegetable or added fresh to a salad. Active Ingredients: Triterpene saponins, to which the itch-supporting properties are ascribed. Also present are coumarins, phytosterols, flavonoids (mainly apigenin C-glycosides, rutin), organic acids and vitamin C. The Asian species S. yunnanensis, S. dichotoma and others have yielded several cyclopeprides but these or similar compounds have nor yet been reported from S. media. Health Effects: The efficacy of the herb in supporting itching skin is attributed to the saponins (said to be emollient and rejuvenating) but the actual mechanism of action appears to be unknown (possibly a corticomimeric activity). Notes: Members of the family Caryophyllaceae typically produce saponins and several of them can be used to support health as secrerolytics (Gypsophila and Saponaria). Furthermore, whereas anthocyanins are normally responsible for blue and red colours of flowers, betalains take this role in the order Caryophyllales.